Liquid Web applications seamlessly flow across any kind of device ranging from powerful desktop and laptop devices to smaller devices, such as tablets, smart phones or any device capable of running a Web browser. In this context, there is the opportunity to reduce the execution time of CPU-intensive tasks or limit their energy consumption by offloading them across the set of machines running the liquid Web application. 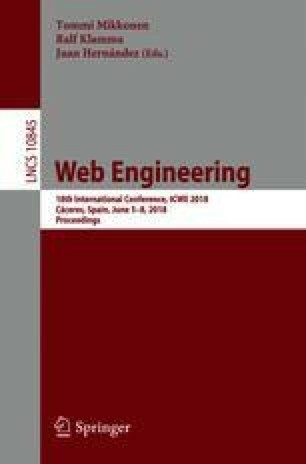 To do so, in this paper we present Liquid WebWorkers, which build upon the standard HTML5 WebWorker API and transparently offload the task execution to other devices and manage the corresponding data transfer. This way, Web developers can reuse their existing WebWorker scripts without any changes. We present how to create a pool of paired devices and compare different policies for choosing the target device that have been implemented in the Liquid.js framework. This work is partially supported by the SNF with the “Fundamentals of Parallel Programming for PaaS Clouds” project (Nr. 153560).